Xiamen has music , Xiamen Philharmonic Orchestra makes it! Zhang Guoyong ,the President and Artistic Director of Shanghai Opera House was giving Xiamen audience a splendid feast last night on 24Apr,2009. There shouldn't be any complaint , all the best has been arranged . The first two are so well known to the public , can't be farmiliar any more. Tao le, the leading Violinist was giving all the way to spread out his passion , touching everyone in the concert. I feel Zhang Guoyong's favorate is Rachmaninov：Symphony No.2 at the night , as you can smell that he put his heart and soul to express the notes into the air . Three curtain calls were taken at the end , he was moved too. Xiamen was a music city in history , and now Xiamen Philharmonic Orchestra is making her way to create a new story , Zheng Xiaoying , with Fu Renchang are the key . Here I would like to pay my regards to Xiamen Philharmonic Orchestra , from those Xiamen Philharmonic . Xiamen Hotels search engine optimzing seems to emerge slowly , after the SMX (Search Engine Marketing Expo Xiamen) , more and more companies including Xiamen Hotels lines are showing interesting in SEO and SEM. Millennium Harbourview Hotel Xiamen 's local website is boosting faster after the SMX, before that the ranking on google is on 12 pages of Xiamen hotel and Xiamen hotels keyword search , and in one week , it goes to 9th page on google Xiamen hotel and Xiamen hotels keyword search. Just now I checked , the google Xiamen Hotel keyword search for Millennium Harbourview Hotel Xiamen is on 5th Page. The meta info is one of the key elements to arrange , exchange links and blog promotion also helped. A real good information updating is more important in the long run. Millennium Harbourview Hotel Xiamen is a 17 year international Xiamen hotel in Xiamen Hotel circle. The pioneer to bring advanced international hotel management sense to Xiamen Hotels , brings up huge number of hotelier in Xiamen hotel line . The internet era is calling for new insight and action. More interesting ,my own xiamen hotel blog , magichaihing.blogspot.com , though not for seriously public invation, seems to have big google ranking progress in Xiamen hotel keyword searching . As before Xiamen Hotel and xiamen hotels keyword searching is out of 50 pages in google xiamen hotel and Xiamen hotels keyword searching , but recently it hit the 30pages countdown , just now it crawls into 23pages of Xiamen Hotel and Xiamen hotel keyword google search. The SEO works. Just remember this is a single non-exchange-link blog. Wanna make a hotel rooms booking in the Best Xiamen Hotel , Millennium Harbourview Hotel Xiamen ? Make hotel rooms reservation here ! A disappointed salesman of Coca Cola returns from his Middle East assignment. A friend asked, "Why weren't you successful with the Arabs?" 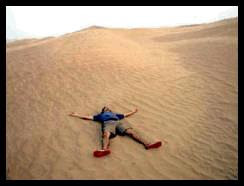 First poster: A man lying in the hot desert sand...totally exhausted and fainting. 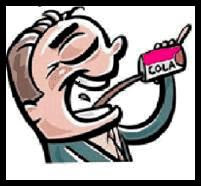 Second poster: The man is drinking our Cola. Third poster: Our man is now totally refreshed. "Then that should have worked!" said the friend. "The hell it should have!? said the salesman. didn't realize that Arabs read from right to left"
The below is an email from a friend , it's estimated 93% won't forward this email. I'm in the 7% , and broadcasting it further. God led the holy man to two doors. He opened one of the doors and the holy man looked in. In the middle of the room was a large round table. In the middle of the table was a large pot of stew, which smelled delicious and made the holy man's mouth water. The people sitting around the table were thin and sickly. They appeared to be famished. They were holding spoons with very long handles, that were strapped to their arms and each found it possible to reach into the pot of stew and take a spoonful. But because the handle was longer than their arms, they could not get the spoons back into their mouths. The holy man shuddered at the sight of their misery and suffering. They went to the next room and opened the door. It was exactly the same as the first one. There was the large round table with the large pot of stew which made the holy man's mouth water. It is simple,' said God . 'It requires but one skill. Remember that I will always share my spoon with you. Last Year I mentioned about Judy's twin Babes. 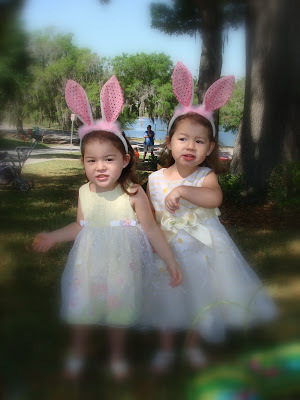 Today she sent me her Easter twin Bunnies again. Millennium Harbourview Hotel Xiamen is her only hotel she had worked for among Xiamen hotels 10 years ago. Now she is in USA , taking her happy life. Just sometimes she could not help missing the old people in Xiamen , in Haijing hotel. 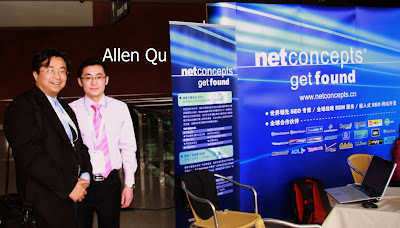 I approached to Allen Qu directly at his working desk on SMX , and he replied in a gentle smile . 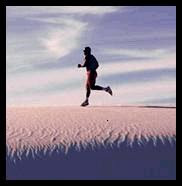 Without hesitation he offered all kinds of investigation on Millennium website and my blog . He checked online for all kinds of figures of SEO pattern of Millennium website and listing one by one his solutions. He was so clear about the weakness of the system and it seems that the ranking is knocking on the door . I must thank Allen for his free will to help and I feel there are great benefits inside for me and our millennium website. Snap the chance to talk to T.R. Harrington in SMX Xiamen 2009, Yes , I did! He was sitting there viewing his Laptop , just a Hi and he accepted to help me with my challenge on SEO and SEM of hotel web search engine and web site optimizing . As a master , he gave several critical points on google and baidu searching after viewing Millennium website and my blog . Frankly speaking , I have never expected him to be as such a generous person , but he is. Tonight ,it took me one hour to update his idea into my blog , still feel grateful for his time . But the atmosphere was hot , the lady at the podium was speaking in an unusual passionate voice : are you twittering ? That was incredible , it was not a lecture , totally a revolutionary non-music gig! After a while , I got her name Gillian Muessig , President of SEOmoz, Inc , one of the leading person in web searchig marketing Industry. She was raising up a strong gust of search engine marketing in Xiamen . Another one who made a difference was T.R.Harrington, Co-Founder and CEO DarwinMarketing.com. People called him T.R , and he expressed his idea in Chinese 90% of his speech , just unbelievable . All the speeches were short and informative , everyone seemed to be encouraged and driven into deep thinking. Inway , the Chairman of this event is the busiest and happiest . Is his dream of SEO / SEM in China closer and closer to success?